I’m also keeping my eye out for the premium copper/titanium E07. I might splurge on it. My nichia 219b E07 is one of my favorite lights now. I love the size, it looks awesome, and performs great. I’m surprised no one has mentioned the 219B version is listed as in-stock again, for both the E07 and the ROT66 (but not the PL47). The listing does not explicitly say SW45K (I don’t know for certain whether it did before), but it does specify R9080. Does any one have a beamshot comparison between XPL Hi V2 5A 4000K and SST20 4000k. 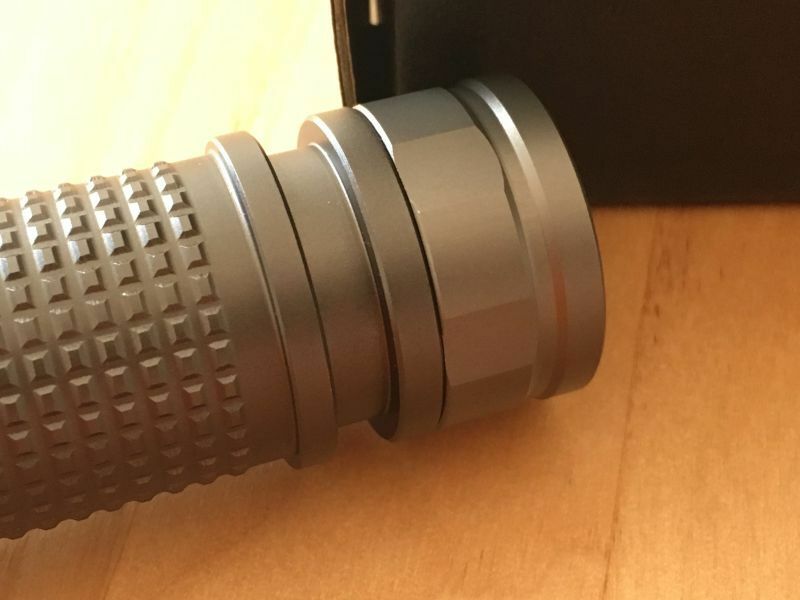 I am not interested in the Nichia, they have more quality problems and the blueshift problem is not something I want to risk. There is a big lumen advantage over the SST20, I also read that the XPL HI have superior thermal performance it means that I would be able to run on turbo for longer periods then the SST20. Noticed that the banner to the left is now advertising an E07 VII. The website says new version since the beginning of March, but does not say what the changes are? I assume it probably has the cooling fins rounded off on all colors now, but can anyone confirm? Any other changes? Version II is also supposed to be 1mm longer so it can accommodate larger batteries. My 50E is 70.9 mm and my E07 version fits that precisely, you do not want the battery longer. Perhaps useful for someone somewhere. I set my (SST-20 4000K, slightly altered by swapping 3 of the leds to SST-20 2700K) E07 at 5 lumen, which is a great brightness for longterm trail-following without tiring the eyes with too little light, and measured 20,13 mA. That translates to 62 lumen/W system efficiency (pretty good for 98 CRI), and on the Samsung 50E that it houses now (I measured 5200 mAh at 500mA discharge in the Opus) that is a continuous runtime of 10.7 days. Yeah not bad, especially since we are PWMing 3× 7135 to extemely low levels. I dislike lanyards with rings and clips or that extreme thin piece of cord that must be fumbled in a tiny hole, but the rather deep clip groove of the E07 allows a simple and very strong way of lanyard attachment that I do like. Ok, here’s a concern for the E07. 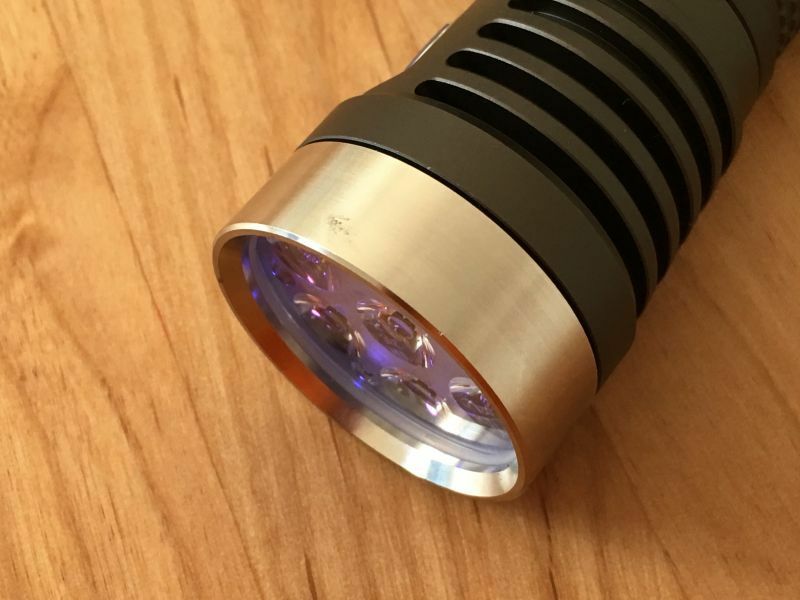 It is something that I always check on my flashlights and the E07 is the worst yet: the battery tube where the head-side o-ring groove is, is just 0.3mm thick. This is paper-thin, why did they do that? 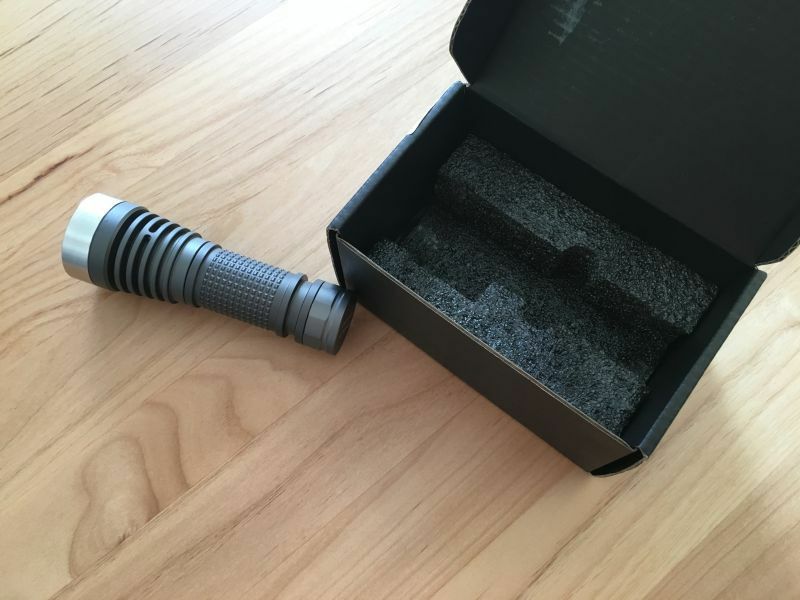 As this is about halfway the flashlight, as far as I can see this has major influence on the strength of the flashlight, which is built thick and sturdy everywhere else. I would (not ) like to know what happens if you drop this light from some height and it lands a bit unlucky. FTR and FWIW I rebuilt my lightbox with two internal baffle/diffuser panels cut ftom a sheet out of a Samsung 26” monitor. Then I used the Maukka calibration lights to come up with a very different multiplier. With the two diffusion panels there is no hot spot coming though to the meter, not even from a White Flat. My multiplier changed ftom the previous .345 to the new .436. One of the lights I tested after this is the new black E07 with 6500K XP-L HI emitters that Neal sent in place of my GT Micro lights. With a fresh charged 30T this straight out of box E07 does 6627.2 lumens at start. A little less than the 6900 claimed on the site. Ham’r shows 20,056, down quite a lot. The extremely throwy XSword on the other hand shows 379.32 , amazingly close to where it was before. Of course, percentages are huge numbers on huge lights. you’re not getting your Micros? I would like to have one in plain metal. Shiny. Like the one you show in the pics, but don’t sell. Easy to identify in rocks or grass. Thank you. Lighting up the world one flashlight at a time. Does anyone with a V2 know if the button LEDs match the blue aux LEDs now? It would be nice if they were updated to match like the ROT66. Anyone know if the switch has changed? Very little feed back from the switch, it does click, but not a positve click. 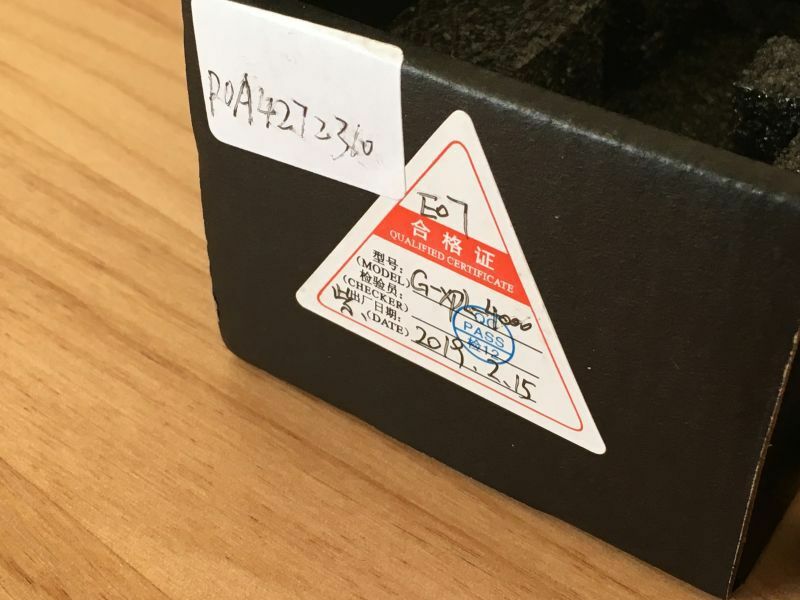 I was not sure if I would have the heart to tell about my dissatisfaction with Fireflies in general or respectively with the E07 model that I have bought at Banggood and received today. In the end, I thought it might be worthwhile to the community to share my impressions.I try to be factual with all my rant about this insolence I have faced today. On a side note: This E07 was ordered after Banggood's stock was depleted and replenished again, i.e. it is very likely to be from the new, second batch. The cooling fins had no sharp edges. the manual: nope...and rest assured, I took out the black foam from the box, too. Okay, that's bad, there's nothing to argue about it. But I was still in a good mood to have at least the light in my hands. You might expect what's coming next, right? Lookin' good, doesn't it?`The bezel looks shiny, clean and....tightened. The color of the anodization looks evenly distributed all over the entire body, i.e. tailcap, tube and head have the same appearance. The tail cap feels like it is made of plastic and not of aluminum. Unfortunately, I was stupid enough to run this light at full power until it became real hot with the bezel not tightened. I was wondering about the cracking noise it made when it became hot. That caught my attention and oh well...I managed to tighten the bezel as far as I could with my bare hands. The cracking noise is now reduced to a minimum but still existing. I'm not sure if the flashlight (may have) suffered any damage from running it exteme hot with a loose bezel. Any feedback is welcome, guys. I cleaned my glasses twice and rubbed my eyes because I failed to believe that they actually put a stamp on this piece of sh...oot sayin' "QC PASS". Well I say: "So much for quality control at Fireflies!" Before closing, I would like to wind up this report with some good news. The flashlight is at least running and all LEDs (though not well-centered!) and AUX-LEDs run as they should. The center LED however has some dirt below the optic but I don't want to sound "OCD". The cracking noise is air underneath the star heating up and expanding. It’s irritating, but harmless. This problem is fixed on the VII version of the E07. You can eliminate the cracking noise on earlier model E07s by removing the star and adding a lot more thermal grease to fill in the gap and/or beveling the lower edge of the star so there is no longer any air gap. Also, the tailcap is solid aluminum. It is not plastic no matter what it may feel like to you. It is well-known at least on BLF that quality-control at the assembly house at least for all version 1 EO7s is rather lax. The quality of the design and parts used is very high, but assembly quality control is quite sloppy. Hopefully Fireflies has seen the feedback and improved their assembly procedures and quality control for the VII. So is it worth getting a Version 2? Over the Version 1 already have? The verdict is still out. I think most BLFers were early adopters and got V1. My guess is not many of us will purchase V2 until the copper\ titanium version arrives. And even when it does arrive I won’t be an early adopter until I see that thier QC has improved. 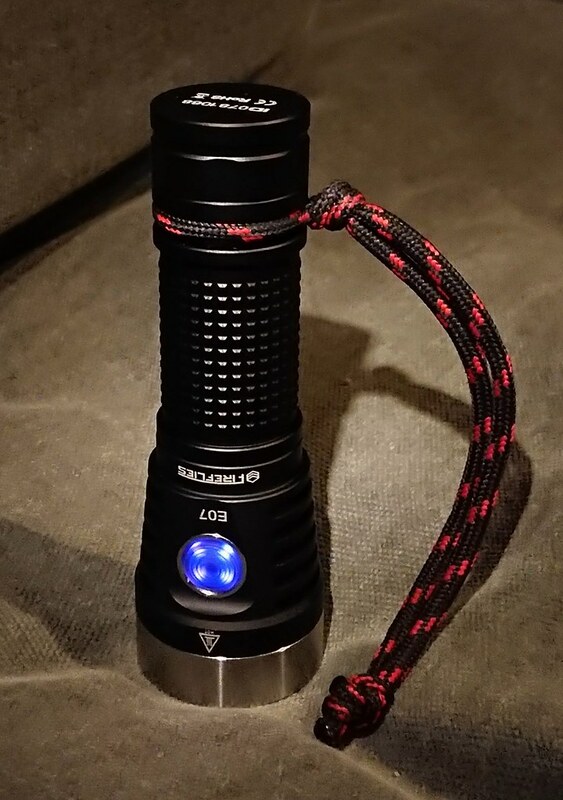 One thought that struck me when looking at the Manker E14 II, The leds are placed a lot more compact, looking at the E07 the emitters are very far a part and a lot of dead space, does this fill any function ? It feels even though it looks good that the head could be more compact, compared to a lot of quad led flashlights they are a lot more compact head. It will be even more important when the Copper version is released cause it will be very front heavy, so it will be better balance if the whole body have somewhat the same size in diameter. Yeah so yeah E07 could probably had become more compact. 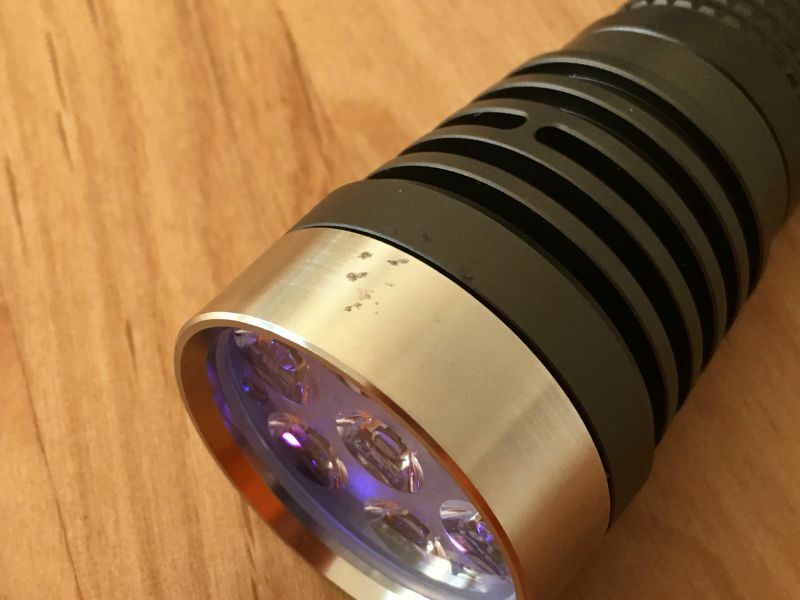 Another question that struck me is when will flashlight get active cooling, some smartphones today have cooper heatsinks with vapor chambers. 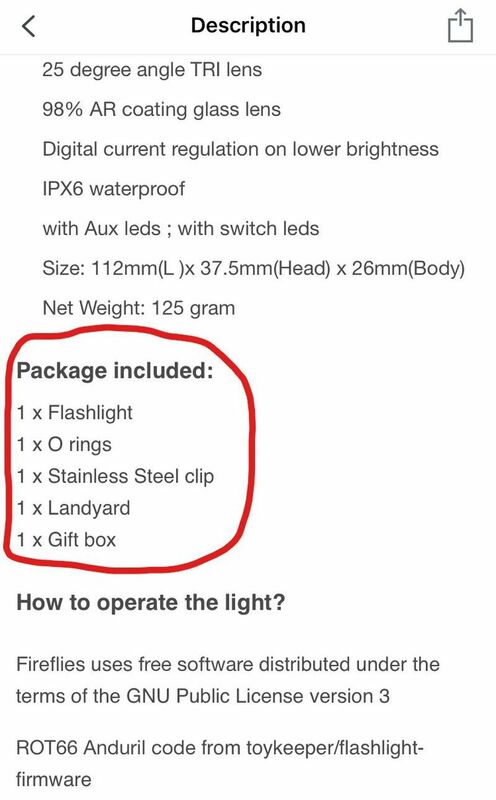 Heat is the biggest problem with flashlight design 2019, so thinking outside the box in terms of cooling should be priority, what good is a 3800 Lumen light if it have to be throttle down to half for 90% of the time becuase of heat problems, I am not talking just about E07, its a general problem I hope we will see flashlights with active cooling of some kind in near future. 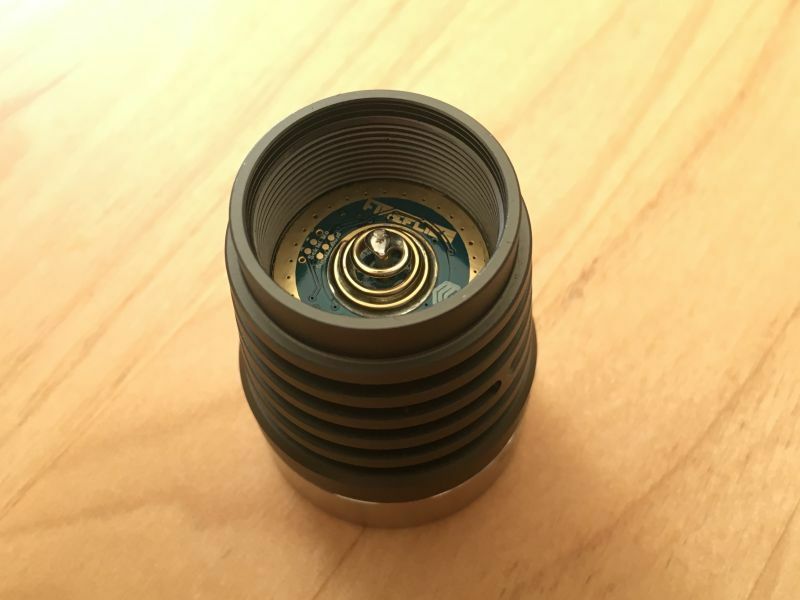 In terms of E07 it seem that SST20 have a lot better thermal performance then nichia, so yes even though the Nichia seem to be the most popular choice I think a lot of people choose nichia because of fanboyism and because of the nichia have been pretty much alone as CRI alternative for a long so they have created a lot of fanboys. SST20 runs both cooler and it gets the same lumen but with 4000K instead of 4500K. To get same lumen in 4000k is more demanding then 4500K. But biggest advantage in the case of E07 seem to be thermal performance, I don’t have the exact numbers of the difference but hopefully it will not throttle down as extreme as with the nichia 219B which runs very hot fast. I will wait for the copper version also.. Only problem I can see is that it will be very front heavy with copper head, I really think that Fireflies has not done the best job to make the head as small and compact as possible, the emitters could had ben set up a lot more closer to each other, this dead space could had been used for a thicker heat sink instead. I think fireflies will lay love until the PRE VII version is sold out, not sure how many of those older they have in stock now. Once they have sold all the old they will release VII and CU/TI version at the same time. It will simply be hard to sell the PRE VII version after reading this thread for instance, people dont want to gamble evnen though they say all problems have been fixed etc, people rather wait for VII and be sure they got a working version. I'm afraid the Cu/Ti E07 will turn out like the D4Ti - unusable because of the heat. 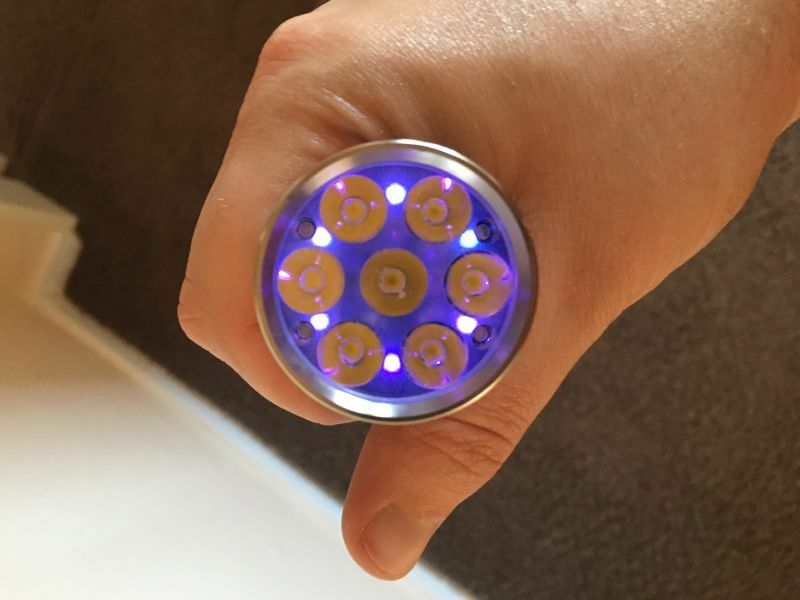 Sure, it pulls the heat from the LED's fine, but seems to instantly transfer it to your hand. Perhaps the “dead space” was needed to fit the aux LEDs? Perhaps it’s an asthetic thing? Smaller would just heat up quicker too. As for the active cooling, I’ve recently seen a flashlight with water cooling. Can’t remeber what it was…one of the current super high lumen ones. I can’t afford it and don’t have much use for it, so I didn’t pay much attention to it. To be honest I don’t have much use for an E07 on high for an extended amount of time either. To me turbo is just for a couple seconds. I’ve never run any of my lights in actual normal use to the point where thermal regulation kicked in. That many lumens just ruins my night vision. I just blast it for a few seconds when required (or when showing off mostly!). copper will probably look nice but it will like other said make the light too hot too hold so im not sure why people want that really in their hands.. Except that the shelf and star are not designed to work together. And that the battery tube is 0.3 mm thick at the o-ring. And the battery tube is so short w.r.t. their manufacturing tolerances that the light dents cell. No, I can’t agree this is a very high quality design. And I can’t agree that Lux-Perpetua’s bezel and tailcap are of very high quality either. The star on my v2 sat fine on the shelf. And a dirty bezel and discoloured tailcap are not design problems. But I still can’t believe that they made the battery tube so thin at the o-ring, there is no way that that went unnoticed in the design process, so it was an active decision that it was good enough. Who is the first to try and sit on their E07, see if it survives even that? Dirty? I assumed it was dented, maybe wrong. I checked everything in the black cardboard box. There is no clip, not hidden somewhere in the foam nor attached to the E07. This figures as all the other accessories were missing, too. No lanyard, no o-rings, no manual. Meanwhile I have tightened the bezel as much as I can with my bare hands but I’m not sure how far I can turn it. It already made some serious cracking noise when I twisted the bezel to make it fit tighter. There’s still a little gap visible between the bezel and the head. Inside of the E07 it was dirty, too. The 18650-21700 adapter felt like it fell into sticky sand before…very strange. The rubber cap on the e-switch sits crooked and not correctly in an even position, i.e. one half looks like pressed down while the other half of the cap is in normal position. Apart from this imperfection the switch works as it should. Next thing I try is to use a 21700 battery and see if it will be dented on the positive terminal. I’m gonna start with a Sofirn 21700 battery (Lishen LR2140SA). a) Banggood sends me the missing parts including another tailcap in “gun-metal grey” that hopefully fits in terms of color appearance. I doubt this will happen. b) Banggood refunds me a reasonable amount for the missing parts and all the hassle with the quality issues mentioned before. The question is how much will be reasonable. I will receive another E07 today that I ordered some days before, a clear anodized XP-L HI V3 3A (5.000K). I will be happy to report about this one as well.